How are feature abundances calculated? How are ion abundances calculated? The ion outlines mark the boundaries of each isotope that forms part of the compound ion. The ion abundance is the sum of the intensities within the isotope boundaries. 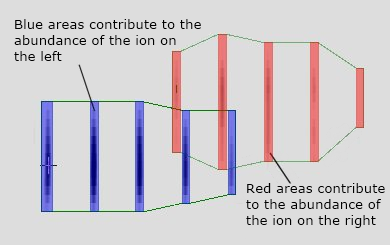 In the example below, the blue shaded areas are used when calculating the abundance of that compound ion. 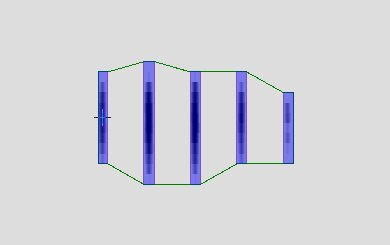 This means we can separate out the abundances of overlapping features, as shown in the example below. How are compound measurements calculated?